Algorithm to detect traffic violations in advance. (MIT team) ~ Engineering projects ideas for final year students & paper presentations collection blog. Another breath taking invention planned by the master minds at the MIT. Led by Jonathan How, a professor of aeronautics and astronautics at mitt, some MIT undergraduates and grad students designed and tested the algorithm. This time its about road traffic and accidents! Yes, these bright mind form the reputed university have managed to draft an algorithm that would work with 85 percent of accuracy, which is better than the previous existing one by 15 to 20 percent! In the previous attempts to design such an algorithm, the targets where like Cars with IR sensors, cameras and connectivities to avoid collation and accidents, but still we humans have always been a wild card for all these protective technologies. Now this new algorithm designed is different in this way, it analyzes several parameters like deceleration of the vehicle, distance from the traffic signals and when red signal is turned on. It captures the vehicles's motion in 3-D in less than 5 milliseconds (As in MIT NEWS). Using this data, it is able to determine which cars are driven by potential violators, those likely to run a red signal, and which drivers were obeying all the traffic rules. John Dolan, a principal systems scientist at Carnegie Mellon University’s Robotics Institute, points out that such algorithms will ultimately need to evaluate a wide variety of intersections. 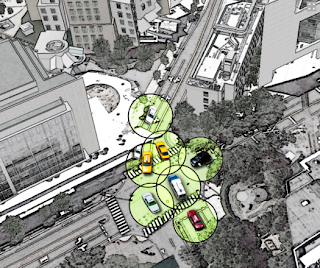 While the MIT team looked at just one intersection, Dolan says its results are encouraging. The researchers are now investigating ways to design a closed-loop system — to give drivers a recommendation of what to do in response to a potential accident — and are also planning to adapt the existing algorithm to air traffic control, to predict the behavior of aircraft.